Running out of storage in your shower? 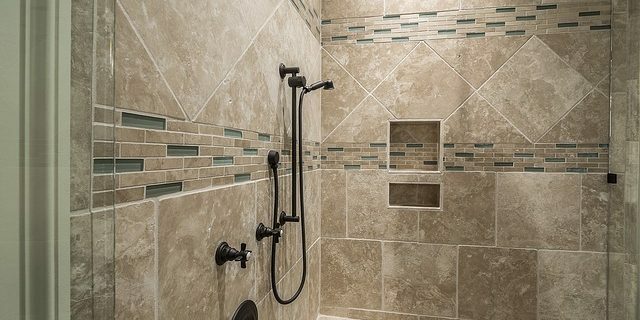 We’ve got some tricks to add more space for all your favorite shower accessories. Most hardware stores sell a shelf option for the shower head, except you only have one pipe. Install cabinet knobs in your shower wall using hanger screws and drywall anchors, and you can add as many of these storage shelves as needed. Attach a piece of one-inch PVC pipe to your shower caddy with zip ties resting in two ⅛-inch notches as a resting place for your razor. Head to your local tile store and ask for a flat-back corner shelf unit. Use soap scum remover to clean the existing tile and apply double-faced foam tape to attach. Put caulk around the edges to seal the tape from any moisture. With an extra shower shelf and more storage units, you’ll have a place to keep the whole family’s favorite soaps. Consider color coding accessories for even more organizational points.